Kenneth R. Chelst received the B.A. degree from Yeshiva College, the M.S. in operations research from New York University and the Ph.D. degree in operations research from M.I.T. He is the director of the Engineering Management Program and former chair of the Department of Industrial and Systems Engineering of Wayne State University. His research interests include structured decision making in engineering management, mathematics education K-12, the application of OR to emergency services and the impact of globalization on the engineering and manufacturing management functions. He also has Rabbinic Ordination. Dr. Chelst is responsible for the ongoing educational alliance (EMMP) with Ford that began in 1993. As part of the program, he heads an interdisciplinary team that overseas student team leadership projects. Their combined impact is in the hundreds of millions o dollars of: added value, decreased cost, and risk avoidance. This includes the INFORMS Edelman Prize finalist project related to vehicle prototypes that led to a several hundred million dollar decrease without compromising testing. Dr. Chelst primary research focus is bringing analytics to K-12 classrooms. His high school math modeling courses are taught in schools around the metro area (Birmingham, Troy, St. Clair Shores, etc.) as well as in Chicago and San Dieguito . His team recently completed it first middle school supplementary math book - From Percentage to Algebra and is nearing completion of a 2nd book From Rates to Algebra. Hundreds of teachers have attended related workshops, many of them funded by Ford. The team's current focus involves integrating PSAT type questions into the many rich activities persented in the books. In 2011, Dr. Chelst's book - Value-Added Decision Making for Managers was published by CRC, Taylor Francis. Dr. Chelst is co-PI on a $3.3 million NSF grant for Project MINDSET. With this funding, he led the development of a full-year math curriculum and textbook for high school seniors. The curriculum is being taught in dozens of high schools in Michigan, North Carolina and Georgia. His book, Does this Line Ever Move: Everyday Applications of Operations Research (2005) has been translated into Spanish and is used widely in Chile. Dr. Chelst is also co-PI on the NSF funded Project MEDeATE. This project will help develop a cadre of expert math teachers in middle school who will mentor other teachers. In 2011, INFORMS awarded Dr. Kenneth Chelst their highest honor, INFORMS President's Award, for his work in bringing operations research into high schools and for his work in applying operations research concepts to dozens of police, fire and EMS departments across the country. 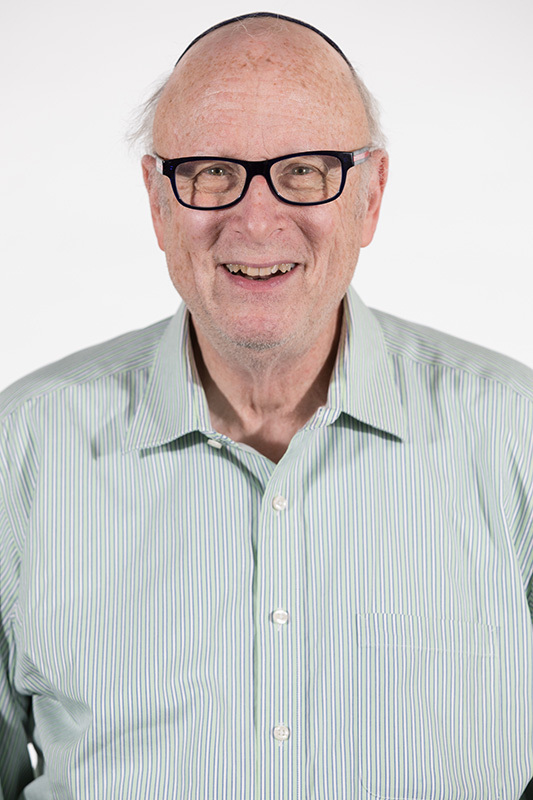 Dr. Chelst retired from his membership of the INFORMS Roundtable, which is an organization of the fifty leading analytics professionals from organizations across the US. Dr. Chelst has received a dozen teaching awards with many of them coming from Ford Motor Company for his teaching of structured decision-making. Dr. Chelst played a lead role in the development of the Engineering Management Masters Program, which has achieved national recognition. This program emphasizes team projects and providing the corporate sponsor with immediate return on educational investment dollars. He also consults with Urban Science Applications Inc., a world-wide leader in the planning of new car dealership networks. Dr. Chelst is a member of INFORMS (Institute for Operations Research and the Management Sciences). 2003-current Developed and Launched Operations Management Leadership Program with funding from GM, Chrysler, and Ford. Chelst, K. and Canbolat, Y. B. (2012) Value Added Decision Making for Managers, CRC division of Taylor & Francis Group. Chelst, K. (2009) Exodus and Emancipation: Biblical and African-American Slavery, URIM, Jerusalem. Chelst, K. and Edwards, T. (2008) Spanish edition, Avanzara Esta Fila Alguna Vez? : Aplicaiones de la Investigacion de Operaciones, University of Chile. Edwards, T. G. & Chelst, K. R., (2018) Finding Meaning in the Quadratic Formula, Mathematics Teacher – accepted (3/28/2018) for publication. Özgün-Koca, S. A., Edwards, T. G. & Chelst, K. R., (2015) Linking Lego and Algebra. Mathematics Teaching in the Middle School. 20(7), 400-405. Edwards, T. G. & Chelst, K. R., (2015) Linear Programming in the Classroom Using GeoGebra, to appear Mathematics Teaching (GB). 246, 8-11. Edwards, T. G. & Chelst, K. R., (2014) Linear programming with several decision variables. Mathematics Teacher, 108(1), 64-67. Rethinking ratios, rates, and percentages. Mathematics Teaching (GB), 240, 26-28. Edwards, T. G., Özgün-Koca, S. A & Chelst, K. R., (2013) “Developing Authentic Real-World Problems,” Mathematics in Michigan, 46(2), 18-21. Chelst, K. (2013), "Urban Services," Encyclopedia of Operations Research and Management Science, 3rd edition. Chelst, K. (2013), "Implementation of OR/MS in the Public Sector" Encyclopedia of Operations Research and Management Science. Chelst, K., (2013), "Emergency Services," in Encyclopedia of Operations Research and Management Science, 3rd Edition, eds. Saul I. Gass (Boston: Kluwer Academic Publishers, 2012). Chelst, K. (2013) The Soft Side of Making Decisions, IE Industrial Engineer, January 2013, 35-40. Chelst, K. and Edwards, T. G. (2012) Operations Research aligned with the Common Core Revolution in K-12 Mathematics Education, OR/MS Today, 39(4). Chelst, K., Edwards, T., Young, R., Keene, K. Norwood, K. and Pugalee, D., (2010), When Will I Ever Use This Stuff? Operations Research Transforms the High School Math MINDSET. OR/MS Today, 37(4), 42-45. Chelst, K., Edwards, T., Young, R., Keene, K. and Royster, D., (2008) Can You Imagine 500,000 Proponents of O.R.?. OR/MS Today, 35(4). Matarese, L., Chelst, K., Straub, F., and Forezzi R. (2008). Bringing a Higher Level of Productivity to the Fire Service: Tales of Two Cities, PM Public Management, 90(2), 8-13. Matarese, L., Chelst, K., Fisher-Stewart, G., and Pearsall, A. (2007). Public Safety Concept in a Post 9-11 World," PMPublic Management,89(4) 14-17. Canbolat, Y. B. and Chelst, K. (2007), When is outsourcing worth the risk?, Technology Century 12(1) 30-33. Nepal, B. P., Lassan, G., Drow, B., Chelst, K. (2009), A Set Covering Model for Optimizing Selection of a Portfolio of Microcontrollers in an Automotive Supplier Company, European Journal of Operations Research, 193, 272-281. Canbolat, Y.B. and Chelst, K. (2007) "Combining Decision Tree and MAUT to Select a Country for a Global Manufacturing Facility," Omega, 35, 312-325. Edelman Prize Laureate (2000) Dr. Chelst was a leader of the Ford team that was one of six finalists in this global competition for the best application of Operations Research world-wide.